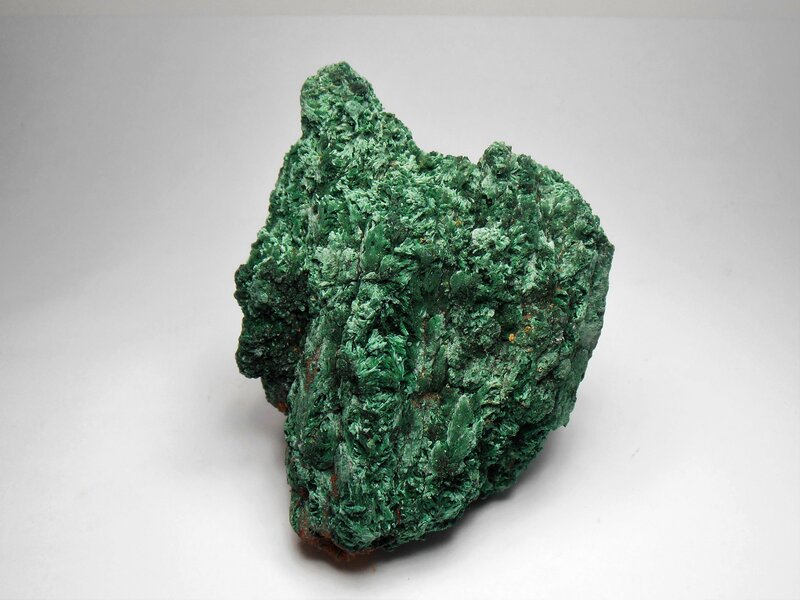 This malachite is from Bou Bker in the Touissit-Bou Bker District, Jerada Province, L’oriental Region, Morocco. 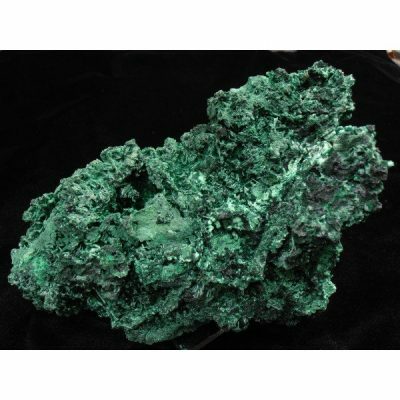 This location is known to contain over 30 mineral species including malachite. 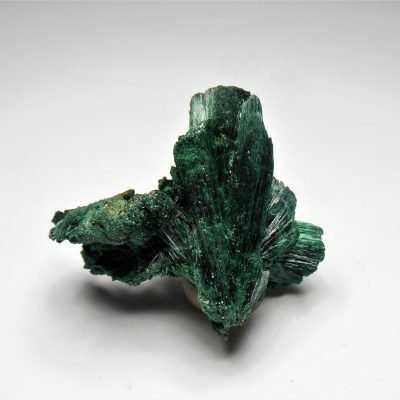 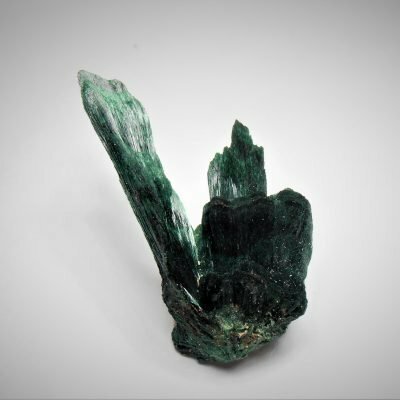 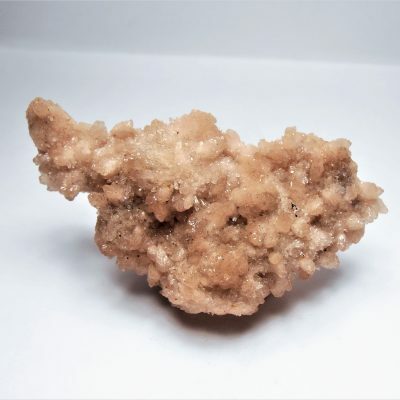 It is a carbonate that contains the elements Cu, C, O and H. This piece consists of a goethite matrix that is covered on all sides with velvet or fibrous malachite crystals which have a chatoyant green color. 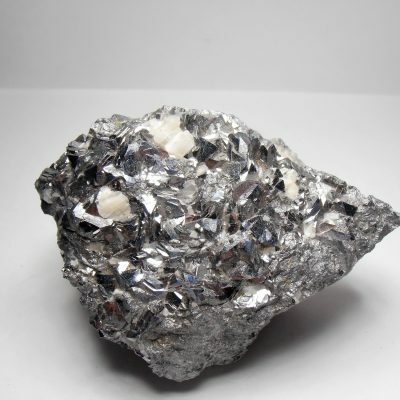 This piece measures 3 x 2 1/4 x 1 1/4 inches or 78 x 57 x 32 mm.